This 16 oz. tumbler is comfortable to hold and fits easily in most cup holders. 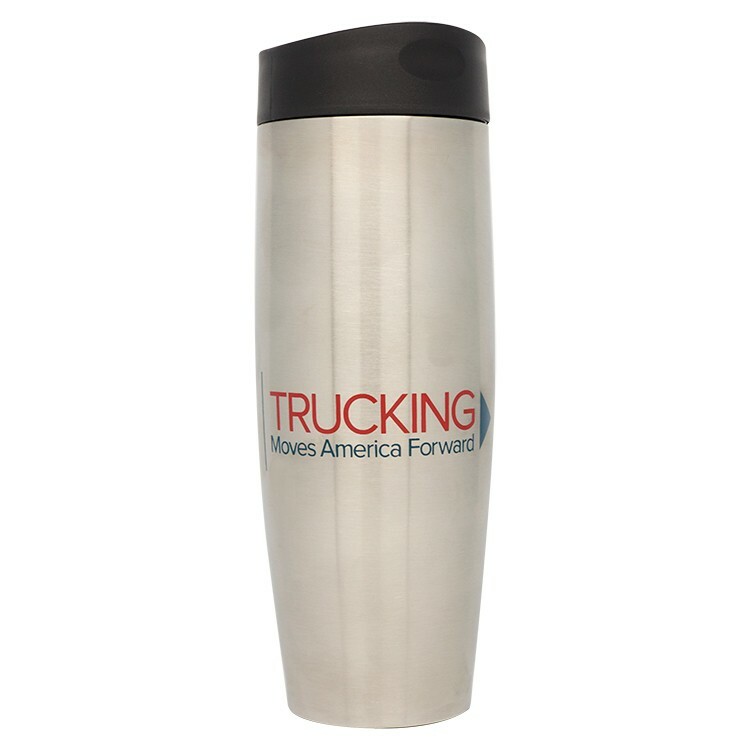 The double-wall stainless steel construction will keep your beverages warm for hours. The lid is leak proof and has a push button function for opening to sip and closing to seal. Available in silver with the two color TMAF logo imprinted on one side.